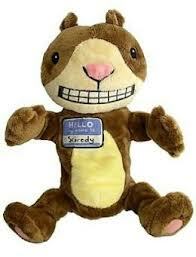 This wiggly little fellow can plant your face with puppy kisses and tilt his head with curiosity. Our cuddly puppy features a soft velvety coat, realistically weighted ears and soft pink tongue. The Eisner Award-winning Narwhal: Unicorn of the Sea is now available as a fin-tastic book and plush toy set! The first book in the award-winning, bestselling Narwhal and Jelly series now comes with an adorable plush Narwhal to keep you company as you read along! Narwhal: Unicorn of the Sea is a wonderfully silly early graphic novel featuring three stories. In the first, Jelly learns that Narwhal is a really good friend. Then Narwhal and Jelly form their own pod of awesomeness with their ocean friends. And finally, Narwhal and Jelly read the best book ever -- even though it doesn't have any words...or pictures! Ben Clanton showcases the joys of friendship, the benefits of working together and the power of imagination in this delightful series. Swim the seas of your imagination anytime with the cute and colorful Mini Ray finger puppet. Put those crayons back to work! Drew Daywalt and Oliver Jeffers's creative crayons are in a world of their own. It's up to you to bring them under control and these finger puppets are the perfect way to rein them in. 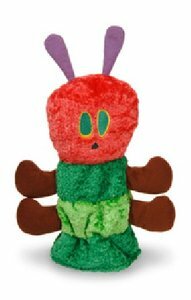 Each crayon puppet has its own personality, and the set is packed in a sturdy fabric box to keep them secure. Safe for all ages. Set includes four finger puppets each measuring 5" tall in a 5.5" fabric case. 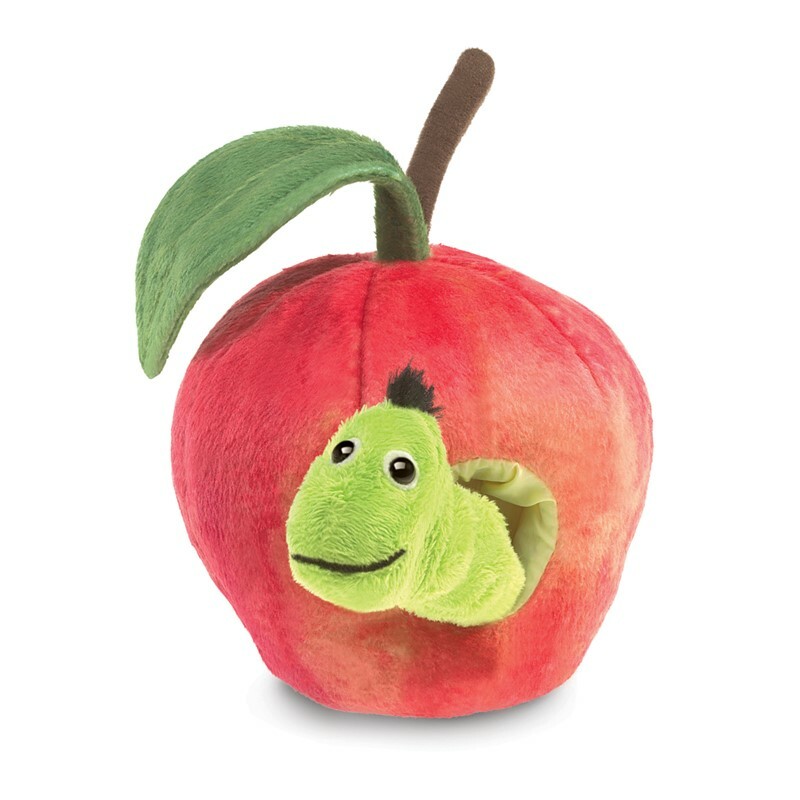 Take a bite out of the sweet life with this Worm in Apple puppet. This soft toy is a perfect introduction to engage little ones in puppetry playtime with a little peek-a-boo fun! Join in the fun with our super soft Scaredy Squirrel as he carefully ventures down from his tree and discovers it can be pretty fun out there. Scaredy's books are written and illustrated by Melanie Watt, who also likes to hang out at home where she writes and draws...until it's time to try something new. Safe for all ages, perfect for ages 3-10.